Antifouling Paint or Prop Glide for Outdrives? Which method of protective propeller coating is best for your boat? While there is no right or wrong solution, there are a few things to consider before making your decision. Do you haul and repaint your boat every year? Does the prop see regular use? Antifouling Paint – If you answered NO to the second question, you will likely be better off with traditional antifouling paint protecting your outdrive. Slick film coatings need to see regular use in order to repel fouling successfully. And if you answered YES to the first question, the additional cost of slick film coatings may not be worth it for you. Which antifouling products are recommended for outdrives? 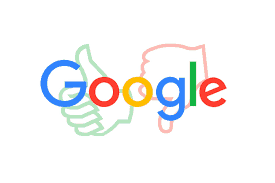 Here are two good options. Option 1 – Apply Tuff Stuff epoxy primer (or similar primer) direct to the metal. Paint over with a copper free bottom paint such as Smart Solution. (It is very important to only use a copper-free bottom paint. Copper-based paints on underwater metals will experience galvanic corrosion.) This option guarantees the best protection and longest lasting coverage, but the paint will need to be recoated each season depending on prop usage. 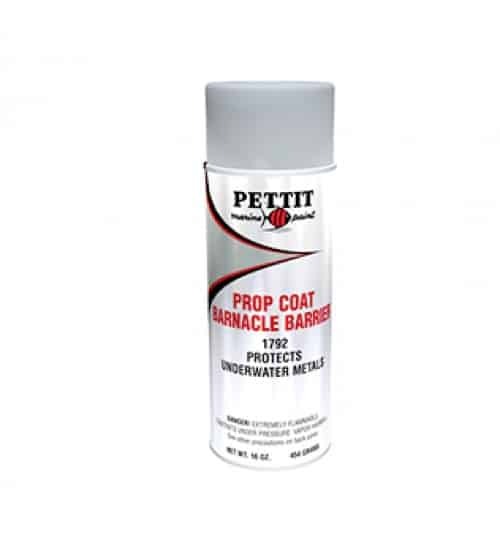 Option 2 – Apply an aerosol underwater metal coating such as Barnacle Blocker or Pettit Barnacle Barrier. These are relatively inexpensive coatings that could provide a large amount of pay off. PropGlide™ Propeller and Running Gear Coatings – If you answered YES to the second question above then you may want to give foul-release systems a try. These are non-toxic, slick coatings that prevent growth from attaching itself to the prop and running gear, thus improving your boat speed and fuel efficiency. It is important to note that for PropGlide to keep its slick quality and repel fouling, the prop needs to see regular use. Without the pesticide coatings of traditional bottom paint, a stationary prop is an easy target for barnacles and other organisms. While slick film coatings may not be the solution for all boaters, many have tried it and had great success. Note what some PropGlide users have stated below. Click this link to compare the price of Propspeed kits and PropGlide™ Propeller Paint Kits. This entry was posted in Outdrives, Prop Coatings and tagged prop coating, propeller coating, propglide on March 11, 2019 by Jason Revie. PropGlide is an environmentally friendly foul release coating for boat propellers and running gear which prevents the attachment of marine growth by low critical surface tension. PropGlide does not contain cuprous oxide or TBT compounds or any other toxic substances which might cause environmental pollution. PropGlide is sold in 4 size kits. Sailboat, Small, Medium and Large. For the best size kit for your application see: Which PropGlide Kit Size Do You Need? Each PropGlide Kit contains various sizes of Primer Base (Part 1), Primer Hardener (Part 2), and a Clear Top Coat. This PropGlide Technical Data & Application Guide will detail how to apply any size kit of PropGlide by detailing the best preparation of the surface and application of the etching primer, and the final application of the Clear Topcoat. The preparation of the surfaces to be coated with PropGlide is the key for the product to work effectively. 1. Remove previous coatings, fouling organisms/marine growth from metal surfaces. All substrates that are to be coated with PropGlide must be bare metal. These areas should be machine sanded with a Dual Action sander fitted with a soft pad and 60-80 grit abrasive discs sandpaper. Sanding the surface by hand is recommended at hard-to-reach areas where the dual action sander cannot reach. Use 60 – 80 grit wet/dry sandpaper, with water as a lubricant. Make sure the sand paper is changed frequently to ensure the necessary profile is achieved. Hand sanding these hard-to-reach areas is required to ensure the surface is properly abraded. The shaft should be done with hand sanding rather than using a machine. From this point forward, there shouldn’t be any direct hand contact to areas which are to be coated with PropGlide. It is advisable to wear latex gloves as it will ensure the areas to be painted remain clean and sound. 2. Once the surface sanding process is completed, wash all the areas with clean fresh water and wipe with clean, lintfree cotton rags soaked in water to wipe off sanding residue. Continue doing this until the rags don’t show any sign of residue, contaminants or discoloration. 3. After cleansing with water is completed, use a rag soaked in acetone or denatured alcohol to remove water on the sanded surface. Continue to use the rag until it becomes dry from evaporation of the acetone or denatured alcohol. Use one or more rags as required, until the rag looks white clean, as there will be no contaminants when the rag is white clean. Again, care should be taken not to touch cleaned surfaces with bare hands. This is because fingers and hands contain oils which can transfer to the cleaned surfaces and therefore would inhibit the adhesion of the coatings. There is a Primer Base (Part 1) and a Primer Hardener (Part 2) to activate the primer base. This two-component etching primer dries chemically by reaction of the mixed components and provides protection against corrosion and increases the adhesive property of the subsequent coats. It may be used as a pre-treatment primer on non-ferrous metals such as bronze and aluminum as well as zinc and galvanised iron. May also be used as pre-treatment primer on blast-cleaned steel plates. Temperature Limitations: Primer and Topcoat should be brought to 70-80°F (21-27°C) temperature range prior to mixing and application. Apply in good weather conditions when air and surface temperatures are above 50°F (10°C). Surface temperature must be a least 50°F (10°C). 1. Agitate the Primer Base (Part 1) contents by scraping the bottom and sides of the can, as there will be settling. Mix contents of primer until the settled parts are incorporated back into solution and uniformly blended. Do not strain material, even if particles are present. 2. Stir Primer Hardener (Part 2) then add entire contents to the Primer Base (Part 1) container. Mix primer base and hardener for 30 seconds and apply mixture to sanded surface immediately after mixing. 3. Application of the Primer Base/Hardener mixture should be thin. The film should be thin enough, so that it is barely coating the surface, yet it does not provide sections or lines on the sanded surface that are not coated. Do not touch the primer mixture as it dries. The method of application of the primer may be done by using either a natural bristle brush or foam roller. 4. Apply a second coat of Primer Base/Hardener mixture after the first coat dries. The Clear Top Coat that should be applied to the last coat of Etching Primer within 5-15 minutes. The Clear Top Coat serves as a slick finish that will inhibit marine growth from attaching to the surface. 1. After 5 to 15 minutes (depending on temperature) of applying the 2nd coat of Primer/Hardener mixture promptly apply the Top Coat. Application of Top Coat should be thicker than Primer/Hardener mixture, yet not thick enough so that the Top Coat produces runs. The Top Coat is to be applied with brush only, NO foam applicators are to be used. 2. Let the Top Coat dry overnight before launching. This entry was posted in Foul Release Coatings, Prop Coatings and tagged propglide, propglide application on December 6, 2016 by Jason Revie. Foul Release Systems Like Propspeed and PropGlide provide the best solution to keeping growth of your props and running gear. While these are not antifouling prop paints, they do keep the growth off buy creating a super slippery surface that the marine growth cannot stick to. Propspeed recommends that their kits by applied by a professional Propspeed applicator. On the other hand, PropGlide is available for any DIY applicator and is 30%+ less and more product for the money. If you want to apply this yourself, be sure to follow the details in the respective application manuals. You can find these on any of the Propeller Foul Release Kit listed on our website. Performance of both coatings has been comparable, with much fewer complaints about PropGlide Either they are just newer in the market with less complaints, or they truly have improved performance. Time will tell. At this point we recommend trying PropGlide as a Propspeed alternative – since there is comparable performance with Propspeed, the cost savings alone is worth it! And PropGlide offers a sailboat size kit making it affordable now for sailboat owners. Note: Propspeed™ is a registered trademark of Oceanmax. Bottom Paint Store is not affiliated with Propspeed or Oceanmax in anyway. Above Propspeed prices and PropGlide prices are based on internet web search October 2016 . This entry was posted in Foul Release Coatings, Prop Coatings and tagged antifouling prop paints, best foul release coating, compare propspeed, foul release coating, propglide, propglide price, propspeed, propspeed alternative, propspeed price, propspeed review on December 6, 2016 by Jason Revie. How does PropGlide work? 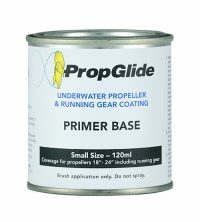 PropGlide is a coating system that is applied to the props and underwater running gear of any vessel. Once applied, the PropGlide system reduces friction to the metal surface which greatly improves efficiency by not allowing growth to stick to the underwater metals. The result is an improvement in prop speed and fuel efficiency. Is PropGlide toxic? Not at all. PropGlide contains no toxic biocides. It works be creating a super slippery surface not allowing growth to attach to the props and underwater metal. Does PropGlide prevent barnacles and zebra mussels? No. It does not prevent from occurring. Barnacles and Zebra mussels will still grow. However, they will NOT attach. As soon as the vessel starts moving, the growth slides off with ease! What can I expect after applying PropGlide to my props and running gear? You should expect growth not to stick to the properly prepared and kept surface while experiencing greater fuel efficiency and speed. Can PropGlide be used in salt water and fresh water? Yes, PropGlide may be used in any type of water, including fresh water, salt water and brackish water conditions. How long does it take to apply Propglide? The application time varies by the size of the prop(s) and running gear that you are covering, but typical application can be done in a few hours. Please see our application guidelines for detailed information. Note: Remember to wait overnight before launching your vessel! Who can apply PropGlide? 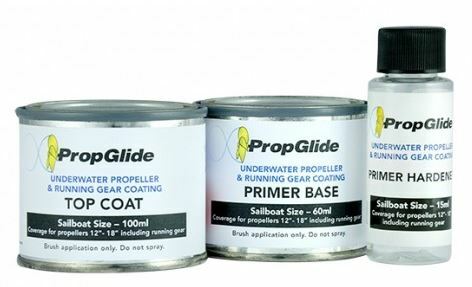 Unlike many other foul release coatings, you may apply PropGlide yourself by following the application guide, or you can contact a local boatyard or dealer in your area to apply it for you. If I haul me boat after I have applied Propglide, will it still work after leaving the boat of the water? Yes, PropGlide can be left out of the water without affecting any performance of the system. How long will PropGlide last? There are many factors that can affect the longevity of PropGlide including number of hours and kilometers traveled, various environmental factors including water temperature and purity. PropGlide will last 1-2 years depending on the above factors. Can I recoat PropGlide for my next haul out? You must remove all of the old PropGlide by sandblasting, sanding, scraping, wire wheel or grinder. After all old PropGlide is removed down to the metal surface, clean the area to be primed with Xylol or Acetone. Recoat PropGlide using the application guidelines. This entry was posted in Foul Release Coatings, Prop Coatings and tagged propglide, propspeed on December 6, 2016 by Jason Revie. So you have gone to the expense of applying bottom paint to your boat, and now you have to ask the question “what about propeller paint and running gear paint? Just like the rest of the bottom of the boat, marine growth will cover the props and running gear if left unprotected. This will lead to loss of power and speed. With severe growth, you can even lose the ability to get the boat on plane. There are a few options for keeping growth off your propellers and running gear and we will explore advantages and disadvantages for applying various coatings to your propellers and running gear. Keep in mind that when you paint props and running gear they are under extreme conditions with speed, cavitation, electrolysis and environmental conditions ( like running through sand or hitting ground or objects). These can cause the same result as sandblasting your running gear – something you will want to avoid after you choose a coating! Foul Release Systems provide the best solution to keeping growth of your props and running gear. While these are not antifouling prop paints, they do keep the growth off buy creating a super slippery surface that the marine growth cannot stick to. Propspeed recommends that their kits by applied by a professional Propspeed applicator. On the other hand, PropGlide is available for any DIY applicator and is less costly and more product for the money. If you want to apply this yourself, be sure to follow the details in the respective application manuals. You can find these on any of the Propeller Foul Release Kit listed on our website. PropGlide and Propspeed are foul release systems that are applied to underwater metals including props and running gears. These foul release coatings are sold in kits ranging from 175ML, 200ML, 500ML, and 1000ML Kits. You can view the all of our Foul Release Coatings to determine which kit size if right for you. Prep: Make sure to remove all prior coatings and contaminants prior to applying any coatings. The should be done by a sandblasting, soda blasting, or a good ole fashioned sanding. The recommended grit and profile should be 80 grit. This will provide a efficient surface for the new coating to adhere. Primer: Apply a two part high build epoxy primer that id designed to prevent corrosion and enhance adhesion. 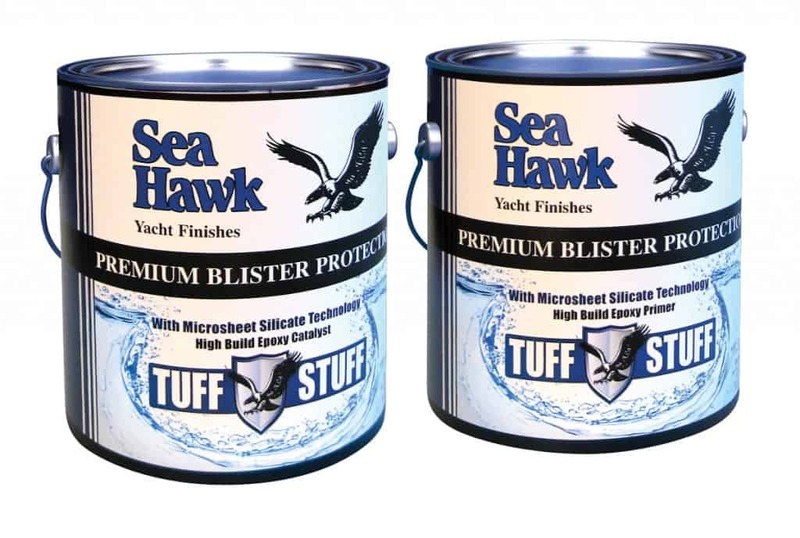 The best we have found is Sea Hawk Tuff Stuff High Build Epoxy Primer. It is easy to use and works extremely well. Apply two coats! Bottom Paint: Apply a hard modified epoxy bottom paint with not too high a load of copper. Sea Hawk Sharkskin and Blue Water Copper Shield 35 Hard are among the best choices. The epoxy primer will insulate the copper bottom paint from the metal of the props and running gear (remember the battery effect!) If you are concerned about electrolysis or already have some issues, then you should use a copper free bottom paint. 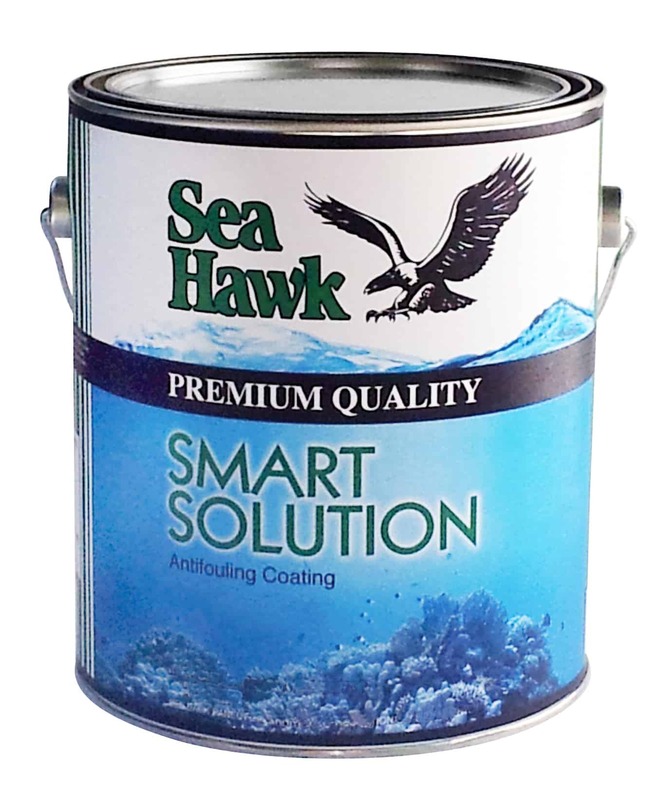 The only true metal free bottom paint that we found and that still is effective in preventing growth is Sea Hawk Smart Solution. Either way, be sure to apply the first coat of bottom paint the same day as the 2nd coat of epoxy primer. If you don’t, it will not stick! There are a few aerosol spray systems that can be used, but these are generally ineffective for props and running gear, and are reserved for outdrive applications. These include Interlux Trilux 33 and Primocon, Pettit Alumaspray and Prop Coat Barnacle Barrier, and the Sea Hawk Premium Outdrive Kit that contains Smart Solution (brush on Pint) and Barnacle Blocker. Our advise is to save your money before applying these to props and running gear. This entry was posted in Foul Release Coatings, Prop Coatings and tagged foul release coating, propeller paint, propglide, propspeed, propspeed application manual on August 29, 2016 by Jason Revie. Gelcoat Did Not Cure – What Caused It and What’s Next? Teak Oil vs. Teak Sealer – What’s the difference? What to Use on the Deck of My Boat?